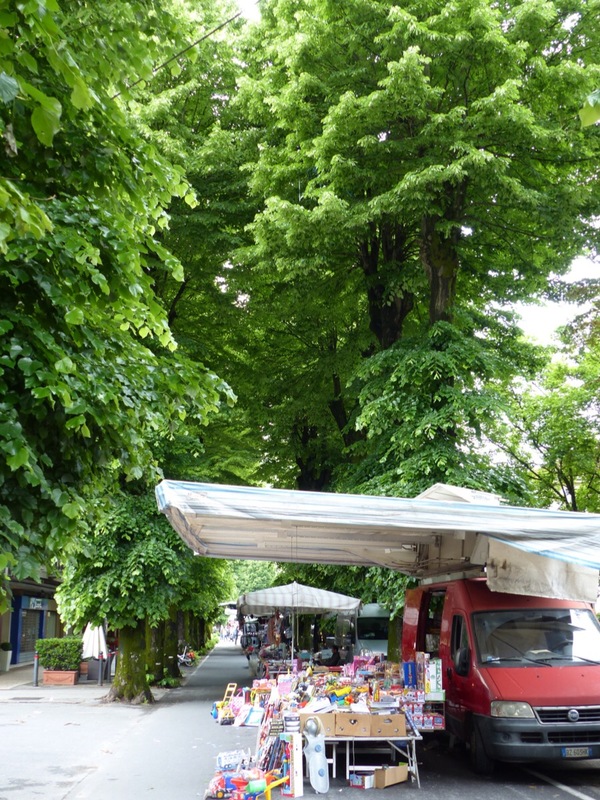 The lovely Tiglio trees provide a canopy for the street market in Fornoli today. Now we just need some sun. 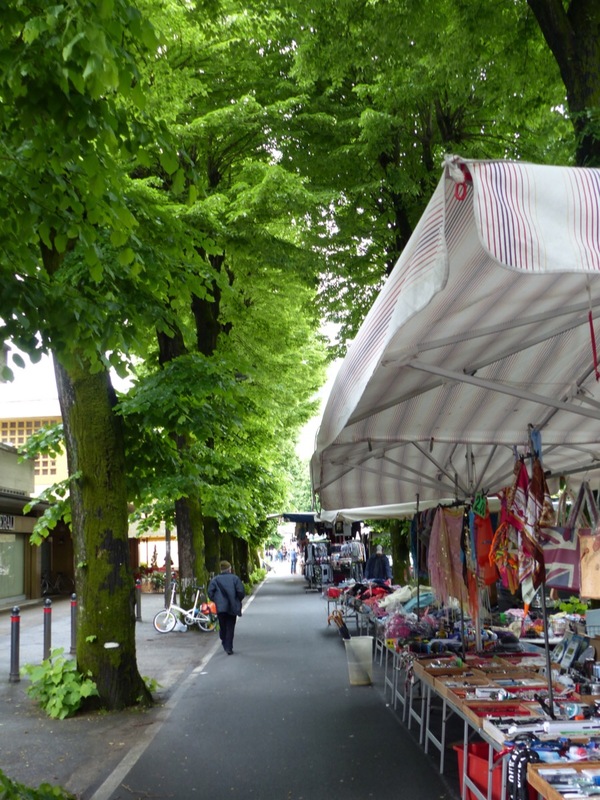 This entry was posted in Shopping and tagged Bagni di Lucca, Italy, markets, shopping, tiglio trees, travel, Tuscany by Debra Kolkka. Bookmark the permalink. Looks like a great day for a walk! It rained heavily this afternoon. I felt sorry for the traders. We have had our share of rain here in Tennessee too, but it has everything looking so green and beautiful! I am sure when the sun does come out so will all the people, that is how is here!